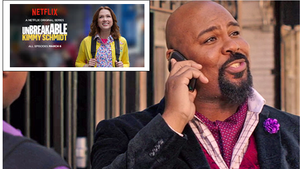 Watch James play Coriolanus Burt the arch nemesis of Titus Andromedon (the amazing and oh so talented Tituss Burgess) in the Netflix original series Unbreakable Kimmy Schmidt. 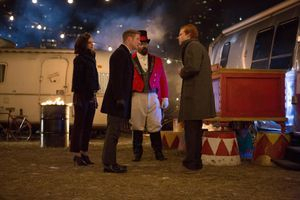 James plays "The Ringmaster" in episode 16 (Titled: The blind fortune teller) of the TV show Gotham airing on FOX and Available on Hulu. Anyone who knows what a HUGE Batman fan James is will understand how exciting this was for him. Did I really just win a Tony Award?! 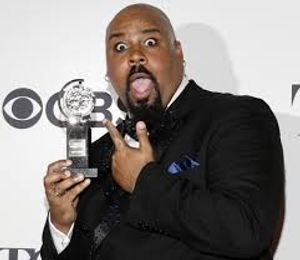 I just wanted to say thank you to The Broadway League and the American Theatre Wing for this immense honor. This was an amazing experience and yes...we did end the night at McDonalds. 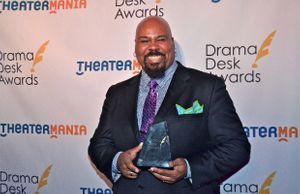 The Drama Desk awards were held on June 1st 2014 and to my surprise.... I WON! Thank you to the Drama Desk for making my deams come true. March 24th, 2014: Reviews are IN!! !